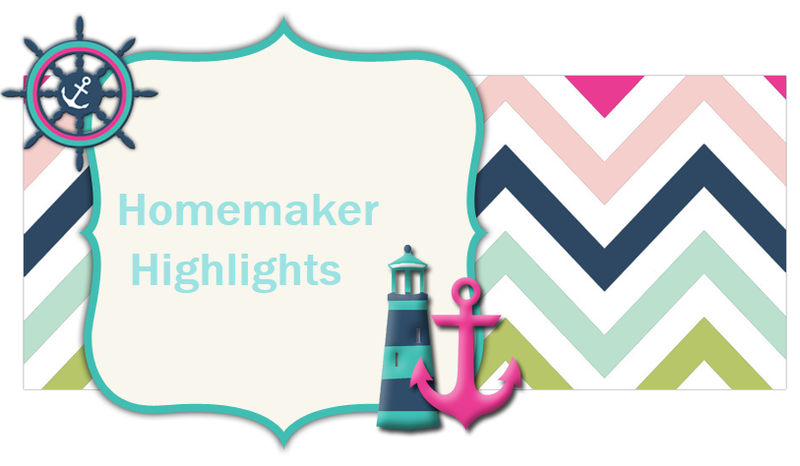 Homemaker Highlights: Cake Pop Station. Last Christmas I was very blessed with a Michael's gift card from my secret Santa (In a coupon group I am in). I was able to purchase a cake pop maker and it has come in so handy!! Last night we had a meal at church after service and the girls helped me make cake pops. 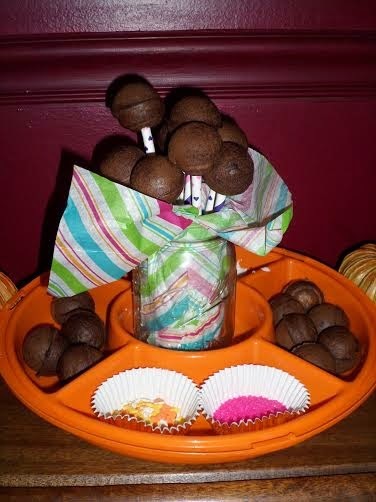 We decided we would make a cake pop station and let the kiddos decide what they would like on them. I bought some really cool paper straws on clearance at Walmart and used them for the sticks. I then took a piece of tissue paper, the kind you would use in a gift bag, and added it to the inside of a mason jar. We then put 2 different types of sprinkles, extra cake bites (I put the extra straws in a cute cupcake cup), and went with marshmallow fluff for the icing. With frosting the sprinkles fall off easily, but with marshmallow topping...everything stays put and less mess. I hope this idea helps when you are in a pinch and looking for something fun to make for a get together. If you are interested in purchasing a Cake pop maker you can click below.